Thundercat was bussin’ through these streets. Bringing all the funky tunes. With only four days left until Christmas, Steven Bruer had stopped by California’s surf city to remind fans what the true spirit of the holidays was all about. The night began with a few surprises. As I approached the venue I can already see two lines out the door for tonight’s entertainment. Grateful shred was having its fill of fans, but Thundercat’s performance was SOLD OUT! Locals, students, and members from nearby communities were committed to celebrating a night of love, laughs, and peace. and wait we did. Mr. Bruer had come into the segment a few minutes after his start time, making the crowd a bit anxious to see him, as they were both excited and impatient. one fan simply could not contain his patience. Thankfully, they waited all the same… 30 minutes later… in comes the Brainfeeder crew. Along with the man of the hour himself. Then… The night headed towards hyperdrive. 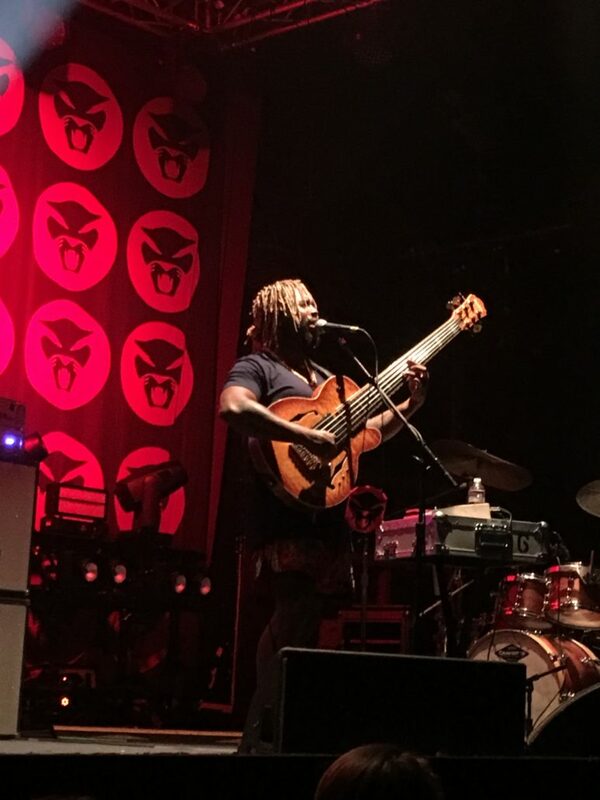 Thundercat had performed tracks from his latest project Drunk. Covering hits such as Friend Zone, 3Am, Tokyo, and Bus in these streets. Alongside his hits, Mr. Bruner and company had performed with an energy that was out of this world. flavorful bass solos, amplified vocals, and explosive drumming from an overworked set ended up marauding everyone’s ears! Mr. Bruer was practically greased lightning. One minute, fans would swing side by side. the next; getting boogey to some unorthodox oogie! His fingers were making all kinds of weird shapes and gestures. Demonstrating his mastery of the bass, nothing could stop him. 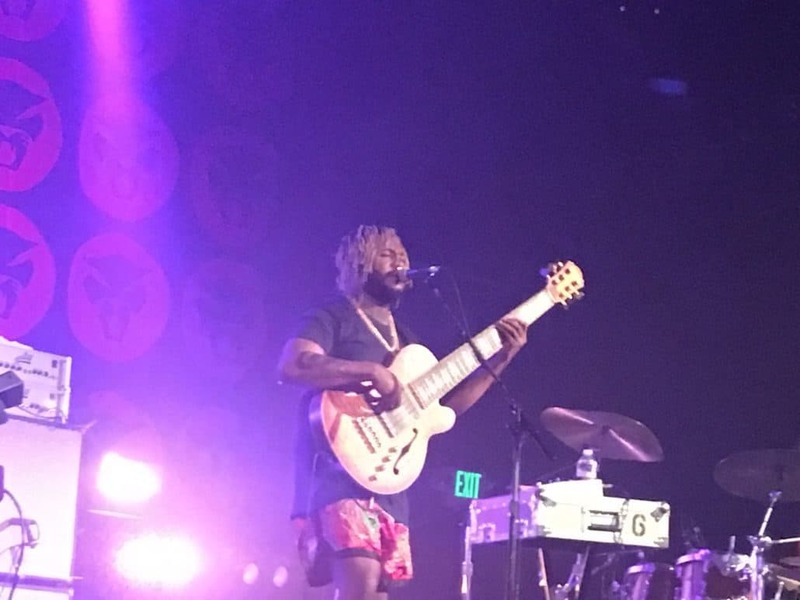 Thundercat had also slowed the segment down to dedicate a few tracks to mushrooms, Mac Miller, and the Japanese anime DragonBall Z, reminding us that during the holidays, we also take some time to honor any loved ones who have passed this year. But also, to remember that Christmas is a reason to unwind, kick back, and relax. His final performance went towards playing everyone’s favorite track: Them Changes. Closing off the show with one last, dopealicious solo. In a sudden twist; however, the crowd began chanting “Thundercat!” in unison. Not to cheer him on, but to call him back. I left feeling like the entire night was surreal. Hopefully the same can be said for those who attended. Thank you, Thundercat. Happy Holidays listeners!